Enjoy 42 acres of pastureland and proximity to millions of acres of public lands rich with wildlife at Barking Mad Farm in Enterprise. At Long Hollow Ranch in Sisters, there’s always something to join in on: moving cows, fixing fences or harvesting hay. 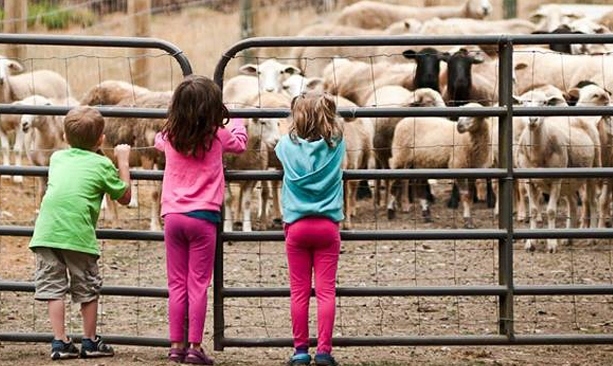 Staying at a farm or ranch in Oregon is all about tradeoffs. Trading your alarm clock for the rooster’s crow, that breakfast snack bar for a plate of farm fresh eggs and an evening in front of the TV for sunset on the porch. Make the trade and unplug at these farm and ranches around the state. Just east of Grants Pass in the town of Rogue River, Pholia Farm Creamery and Dairy houses guests in a 1970 Airstream trailer on its 24-acre off-grid goat farm. Help feed the Nigerian Dwarf goats, take a cheese-making class (Pholia makes award-winning, handmade aged and raw milk cheeses) or take a hike in the forested foothills. As the name suggests, Barking Mad Farm in Enterprise welcomes your four-legged friends to wipe their paws on the welcome mat. Enjoy 42 acres of pastureland (with many off-leash romping spots) and proximity to millions of acres of public lands rich with wildlife. Cozy suites offer views of the Wallowa Valley. The 40-acre farm at Draper Girls Country Farm just south of Hood River sprawls at the feet of Mt. Hood. 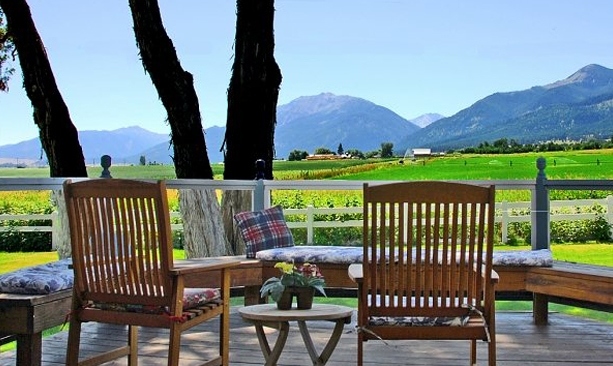 Relax in the country cottage at the heart of this U-pick fruit farm, which grows cherries, apples, pears, and strawberries, and operates the only fresh juice cidery in the region. Located between the Willamette Valley and the Coast Range, Leaping Lamb Farm Stay in Alsea invites visitors to enjoy the rustic charm of its farm cottage. Guests can help collect eggs, feed the lambs and visit with the resident donkey. Fresh eggs, fruit and vegetables can be purchased on site for DIY meals. At Long Hollow Ranch, a working cattle ranch in Sisters, there’s always something to join in on: moving cows, fixing fences or harvesting hay. Enjoy hearty home-cooked meals and comfortable rooms in the historic ranch house. 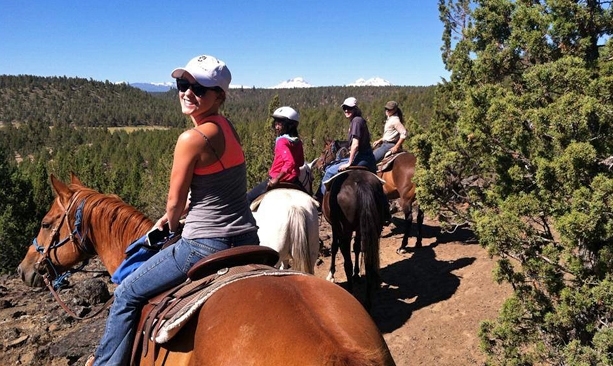 Fill your days with trail rides, fly fishing and hiking in the Central Oregon mountains.